Cavalry There are 10 products. Polish Hussars Charging with command. Use menu on right to choose 8 or 12 figure battalion packs. 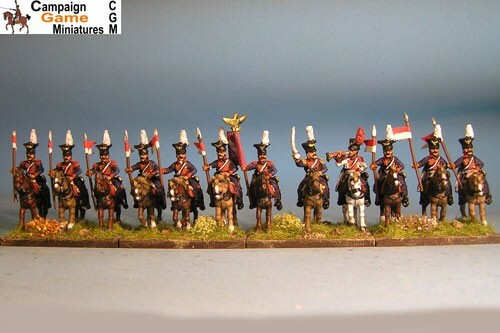 PolishHussars Sword on shoulder with command. Use menu on right to choose 8 or 12 figure packs. 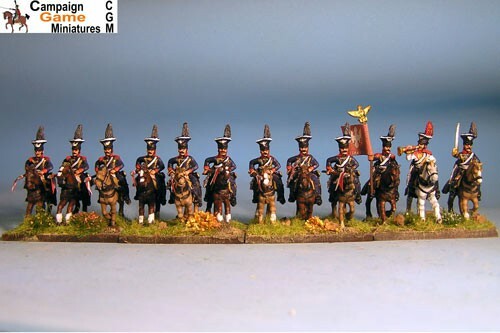 Polish Lancers Charging with command. Elite company figures with epaulettes & Czapka. Officer, Trumpeter & Eagle Bearer included. Use menu on right to choose 8 or 12 figure pack. Polish Lancers Charging, Elites in Colpack with command. Elite company figures with epaulettes & Colpack Officer, Trumpeter & Eagle Bearer included. Use menu on right to choose 8 or 12 figure pack. 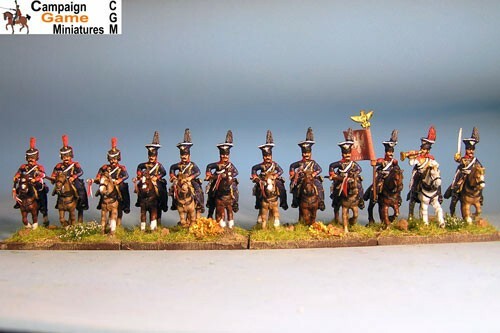 Polish Lancers at Rest with command. Elite company figures with epaulettes & Czapka Officer, Trumpeter & Eagle Bearer included. Use menu on right to choose 8 or 12 figure pack. 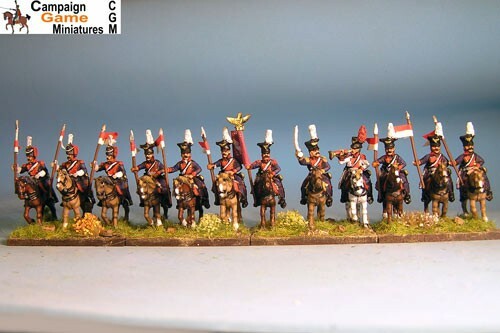 Polish Lancers at Rest, Elites in Colpack with command. Elite company figures with epaulettes & Colpack Officer, Trumpeter & Eagle Bearer included. Use menu on right to choose 8 or 12 figure pack. Polish Chasseurs Charging with command. Officer, Trumpeter & Eagle Bearer included. Elites in Colpack. Use menu on right to choose 8 or 12 figure pack. Polish Chasseurs Charging Elite command. 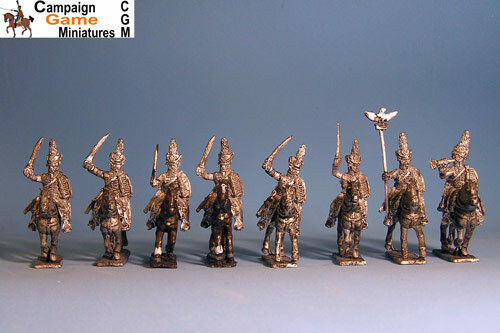 Officer & Trumpeter in Colpack & Eagle Bearer included. & Elites in Colpack Use menu on right to choose 8 or 12 figure pack. Polish Chasseurs at Rest with command. Officer, Trumpeter & Eagle Bearer included. Elites in Colpack. Use menu on right to choose 8 or 12 figure pack. Polish Chasseurs at Rest Elite command. 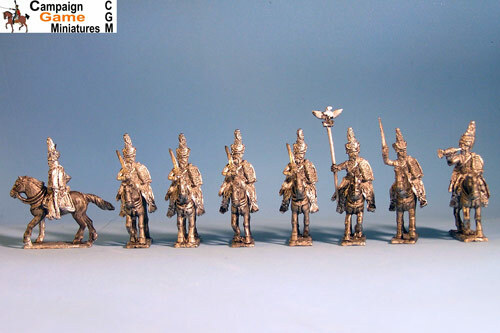 Officer & Trumpeter in Colpack & Eagle Bearer included. & Elites in Colpack Use menu on right to choose 8 or 12 figure pack.